Massad Ayoob is the nation’s leading expert on the use of lethal force in self-defense. David Maglio developed the MAG-30 Live-Fire curriculum from the Massad Ayoob Group MAG-20 Live-Fire curriculum. Mas has certified David to teach this curriculum. This course is instructed by MAG Senior Instructor David Maglio. The Massad Ayoob Group MAG-30 is the newest live fore course available to MAG students. 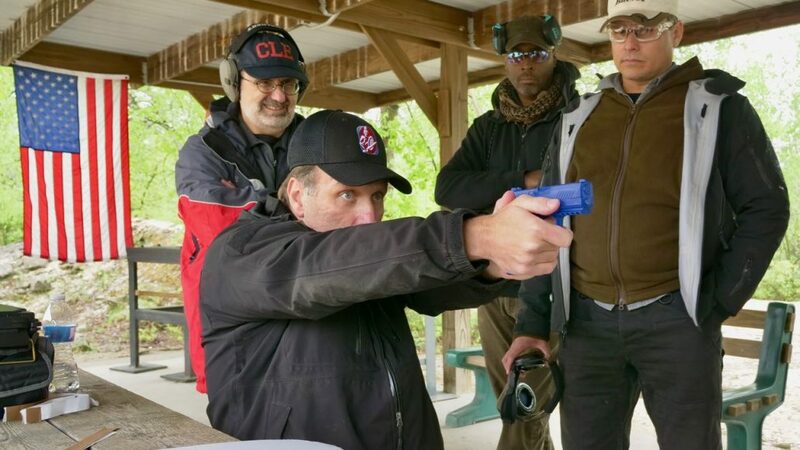 MAG-30 Range is a three-day course is specifically designed to bring the MAG-20 Range or MAG-40 Graduate to the next level of their shooting skills using Massad Ayoob’s Defensive Handgun Shooting System. The three day, “shoot till you puke,” MAG-30 Range is a physically and mentally demanding live-fire course. 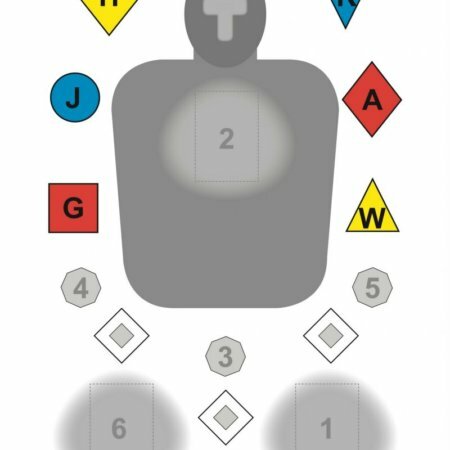 The course of fire is carefully structured for maximum efficiency and to provide you more learning potential from the 3000 rounds you will fire. Throughout the 3 days you will train the core techniques and perform skill builder drills. Finally, you will have the opportunity to qualify on the core skills. A minimum score is required for each of the 7 qualifications. The 5 Standard Speed Qualifications from the MAG-40 qualifications require a 90% score of 270 out of 300.The remaining qualifications are completed at double speed and triple speed and require a 70% score of 225 point out of 300. During the qualifications all techniques must be performed properly, within the time limits, with passing scores, to receive a MAG-30 Range certificate. Students who fall short of the qualification standards will receive a MAG Qualification Update certificate, if those requirements are met. Each student will need “muff type” ear protection and eye protection for this course. This course will fill to capacity so register early. You will spend 30 hours on the range focusing on fast and accurate shot placement. In this course you will spend all three days on the range. 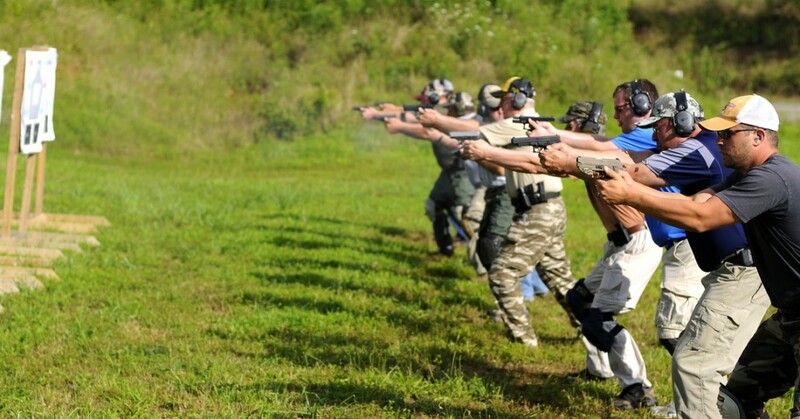 Range work will include instruction in the use of the defensive handgun when you are facing extreme stress. These skills and more are taught with an overall emphasis on fast, accurate shot placement. The live fire portion of the course will culminate with an opportunity to complete a police-style handgun qualification course. Without proof of a clean background you will not be permitted to attend this course. If you have any questions about the suitability of your gun, please contact us. A good quality holster – NO SERPA holsters will be permitted in this course. You need a safe, quality holster and belt. Again, if you have any questions, please contact us. A minimum of 5 magazines or speed loaders for your handgun. All magazines or speed loaders must be worn in a magazine pouch or speed loader holder on the student’s belt. Billed cap or other brimmed headwear. At least 3000 rounds of decent quality, reliable ammunition. Range ammunition (FMJ, etc.) is fine. You do not need to use premium self defense ammo for this course. You will need to take LOTS of notes. We’ll explain why when you get here. If you wish to use a laptop computer or a tablet, that is OK (you may also want to bring an extension cord/power strip). Audio or video recording of the class is not allowed. Lubricants that you might need. The Southington Law Enforcement and Military Training Facility has both flush and portable toilets, although the flush toilets are located a good distance from the range. For your comfort you might want to bring wipes, disposable washcloths and / or hand sanitizer. Please bring your own lunches, snacks, beverages etc. We have a “working lunch” in all classes. Our facility does not have a place close enough to purchase meals and get back in a reasonable amount of time. Remember that class days are 10 hour days so if you need another meal in that amount of time please bring it. Bring water, while we do provide water at all of our locations, it never hurts to bring some more. Everyone has a different need when it comes to comfortable seating, if that might be an issue for you feel free to bring a cushion to sit on. Follow this link for more information about how you can travel to the Cleveland area for this or any other SSA course. The official hotel for the event is the Newton Falls Holiday Inn Express. There is a block of rooms reserved for the price of $91 a night. When making your reservation use the group name “SSA MAG.” Other lodging options are covered at the link above regarding travel to NE Ohio. If you have any additional questions please feel free to contact Safety Solutions Academy, LLC via email or give us a call we will be happy to address any questions you might have.